Home » Story » Woman tired of hiding her grey hair – a super makeover leaves her unrecognisable! 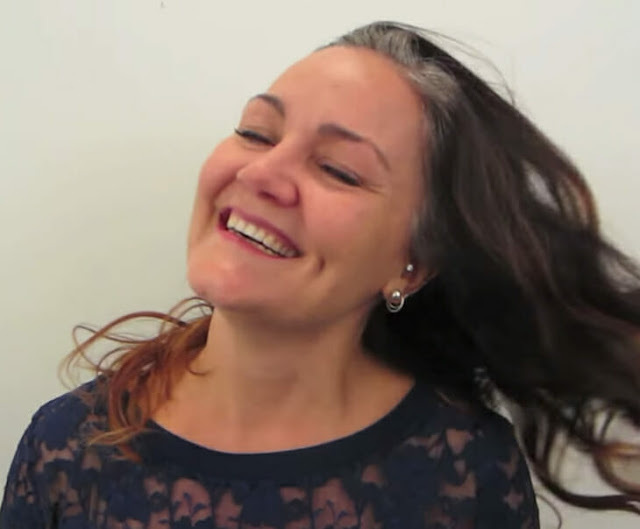 Woman tired of hiding her grey hair – a super makeover leaves her unrecognisable! As we grow older, our priorities change. During our younger years we might be influenced a lot by people’s perceptions of us – I know I cared a lot about what people thought of me when I was young! But today I’m older and wiser, and I know what’s truly important – and it’s not what’s on the outside! Perhaps that’s why 41-year-old Kerry Grundhoefer felt ready for a big change. With the help of professional hairdresser Christopher Hopkins, also known as “The Makeover Guy”, Kerry chose to get rid of old habits and transform into a beautiful, natural version of herself! Before contacting stylist Christopher, Kerry had spent several years trying to hide her gray hairs, often with strong, harmful chemical treatments. After decades of coloring, extensions and strong products, her hair became sensitive to certain products. That’s when Kerry realized it was time to stop concealing her “real” look. That’s when she asked Christopher for help. She knew that Christopher was one of the most skilled hairdressers in the area and hoped he could work his magic on her tired hair. As Kerry jumps into Christopher’s chair, she tells him that she wants a short cut. And she means really short! Kerry wanted to shock her friends and husband with a look that reflected her lively personality and love for life. 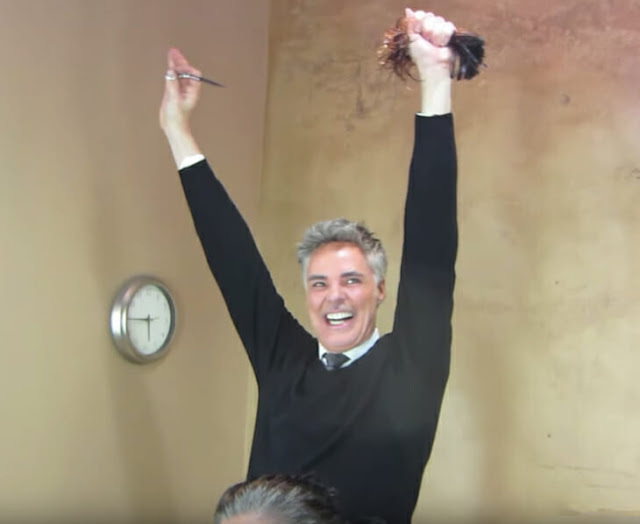 The moment Christopher cut off her long hair, Kerry became a little worried, but at the same time she was convinced that the change was necessary. And it was not just Kerry who choked up when she looked in the mirror afterwards, her husband was even more emotional. Isn’t Kerry’s new look beautiful? I’ve always been a believer in aging gracefully, and Kerry really shows that it’s a great way to live! Enjoy life and don’t waste time worrying about how others perceive you. Be grateful to see some grey hairs appearing, many people never get that chance!